You must be a member of the Munich American Get-Together Group to attend this activity. Would you like to join this group? 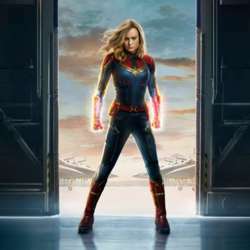 The Marvel Cinematic Universe continues with the origin story of Captain Marvel! As mentioned in the details, everyone is responsible for their own ticket (unless you've spoken to me). Nothing more American than a loud, action-packed movie in a big theater. Release date is March 7th but the showing should be the night of March 6th at 23:59. So click yes if you are interested and I'll be in touch when tickets go on sale. Everyone responsible for their own tickets!! At InterNations, no one binges on popcorn alone!